Get close to your sweetie this holiday season, and give your lips and skin a sweet treat with the Scentsations™ Heart Duo. Fragrant, silky-smooth skin, and shiny, subtle pink lips ensure that Valentine's Day comes sealed with a hug and kiss! Includes an 8.3 fl oz bottle of Heart Lotion scented with a blend of citrus, white flower, and warm amber, and a .39 fl oz tube of sheer-pink Heart Lip Gloss. Dress up your digits for a night of hand-holding and romance with CND's Red Hot Colour Collection. This alluring, ruby sparkle layering combo will be sure to steal hearts! 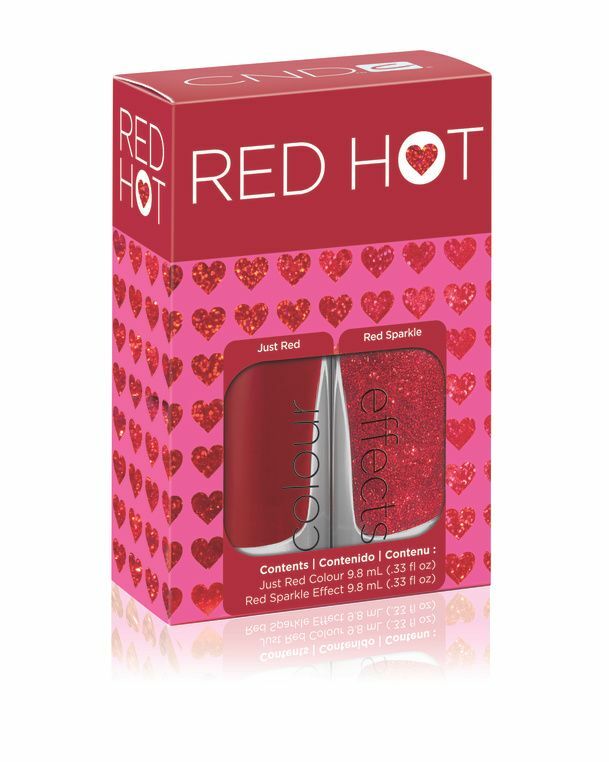 Includes a .33 fl oz bottle of Just Red Colour and a .33 fl oz bottle of Red Sparkle Effect. Available for a limited time only in salons and professional beauty supply stores.